contact us for a free & confidential case review! “I was told by another firm that they didn’t think I had a winnable case. Hach & Rose told me that it would be an uphill battle but they believed in me and my case...we won!” - T.S. Click Here to Watch our Video Faqs. The New York personal injury lawyers of Hach & Rose, LLP, are dedicated to vigorously protecting the rights and interests of those who have been hurt due to the negligence or recklessness of another party, and the firm consistently achieves the top results in the State of New York representing accident victims. 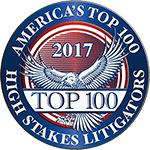 In both 2010 and 2011 we achieved 4 out of the top 100 results for personal injury claims as reported by the New York Jury Verdict Reporter. Those results were followed in 2012 with the highest reported jury verdict in the State of New York in a construction accident case. At Hach & Rose, LLP, our accident lawyers have the knowledge and experience necessary to assist clients in their pursuit of compensation to cover medical bills, lost wages, and other losses that can result from a sudden accident. Whether you are interested in possible car accident litigation or in need of support after you have been a victim of medical malpractice, the experienced and knowledgeable NY personal injury attorneys of Hach & Rose, LLP, are prepared to help you more fully understand your legal rights and options. Hach & Rose, LLP, provides free, no-obligation consultations and multilingual services, serving clients nationwide. Please call our New York City personal injury attorneys at (212) 779-0057 or fill out our online contact form today. Even if you contact us after hours, we promise to respond quickly. $13,000,000 - Jury verdict obtained on behalf of an injured union painter who fell from a ladder and sustained a traumatic brain injury. $3,525,000 - For construction supervisor who fell form a makeshift ladder injuring his back. 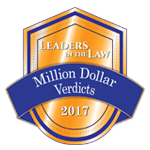 $8,000,000 - Jury verdict obtained for the victim of a motorcycle accident. Click below to access some of the helpful resources we've put together for clients and potential clients.